Whether you are looking to get onto the property ladder for the very first time or are looking to purchase a new home to accommodate your changing needs, buying a new Ulster county home can be a costly business decision in today's real estate market. We are not just talking about the amount you pay to secure the property but rather all of the extra costs that you will have to cover at the same time. You may be surprised at just how many extra costs there are out there for you to pay. There are at least 13 that you should be aware of prior to putting in an offer on a property. The last thing you want is to be stuck with several costs that you are not prepared to pay because it may elevate your budget beyond what you can afford. As such, you need to know what these costs are. 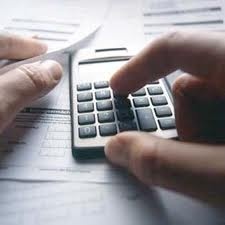 Some may cost you a fixed amount once only but others may be recurring costs. All of them soon add up though so make sure that you read through the following list and familiarize yourself with them all in advance. Appraisal Fee – If your lender requests an appraisal of the property that you plan to buy then you will be liable for the costs. It will be a one off fee but can add up to $300. Check the costs in advance. Survey Fee – Different to the appraisal fee, your lender may also request an up to date property survey if the home is a resale and there is no survey available. The seller may pay this but if you have to then expect to pay up to $1000. Property Tax – Property taxes may be included in monthly mortgage payments by your lender as this is a convenient way of paying them. However, you may otherwise have to offer proof that you are paying them. As such, this is an ongoing cost. Land Transfer Tax – This is applied whenever property changes hands. The rates may vary from area to area so ask your real estate agent in advance what you will be charged. Service Charges – If you plan to have your current utility companies switch your services to your new property then they may charge you a fee. Be sure to ask the companies involved in advance if they will charge you. Legal Fees – Every time you go through a lawyer for anything related to your property or purchase, you will find that you incur legal fees. The rates will vary but make sure that your lawyer offers value for money. Property Insurance – Home insurance is an absolute must to cover buildings and contents and your lender will insist on proof that you are insured, thus incurring ongoing costs here too. Mortgage Insurance Fee – Mortgage loans may require mortgage insurance to cover the amount of the loan just in case you face issues. This will vary depending on how much equity you have in your home and may also be an ongoing cost. Mortgage Broker Fees – Just like lawyers, mortgage brokers will charge you for services rendered and this will incur a one off charge when the sale is complete. Some will offer their services for competitive rates though so check them out. Moving Charges – Brokers and lawyers are not the only ones that will charge for their services. You will also need professional movers to get your stuff moved so shop around for those offering the best value. Local Improvement Charges – If your local area has recently undergone maintenance and improvement work then you will have fees to cover. This can vary and you can check out whether you will have to pay this in advance. Water Quality – Water quality certification applies if your new property happens to be serviced by a well. If you are serviced by a well then you must call in an expert so get a number of quotes first. Maintenance Fees – If your property has common areas with other properties then the maintenance may be communal. Ask if you will be liable for fees before putting in an offer. If at any time you have questions about buying real estate in Ulster County or the surrounding area, please don’t hesitate to contact Dylan Taft, Principal Broker/Owner, Taft Street Realty, Inc. - 845.687.9292 office or 845.380.3394 mobile.